Here we go again... It's time for another Neighborhood Meeting! 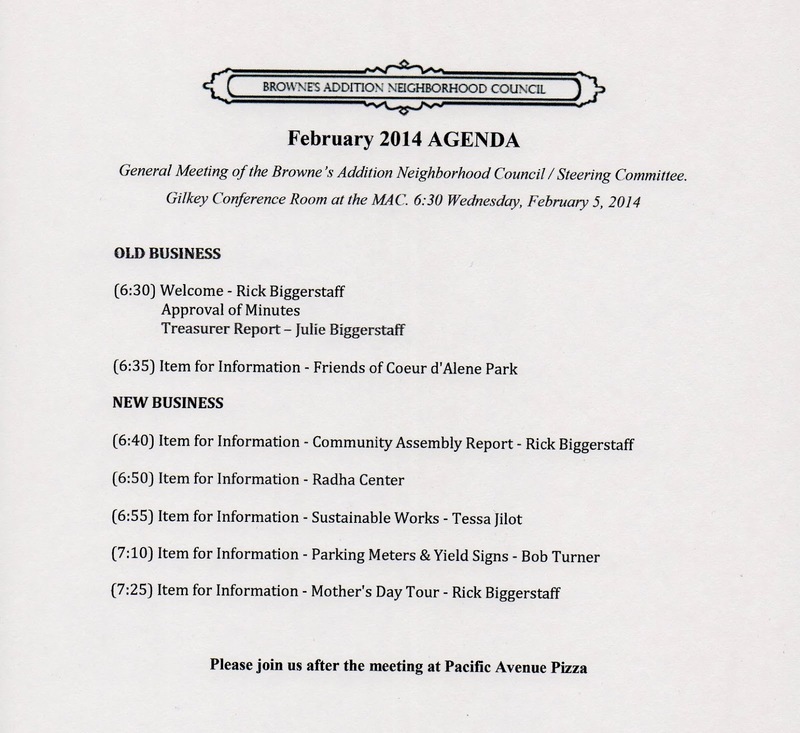 Your Browne's Addition Neighborhood Council will meet this Wednesday evening, 6:30 pm at the MAC. We are talking about Parking Meters, Mother's Day Tour, and Energy Saving ideas. Please join us, and we may have some time leftover to swap our favorite Superbowl stories.